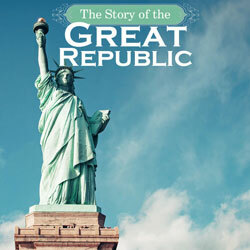 From the end of the War of Independence through the administration of William McKinley at the end of the 19th Century, The Story of the Great Republic retells as an engaging narrative the history of the United States of America through the 19th century. The struggles of the new nation under the Articles of Confederation, the rise of the need for a new form of government, the Constitutional Convention, the administration of Washington and all the presidents through the 19th century, the exploration of the American continent, the westward expansion, the relationship of the United States with European nations and world politics and events, the War of 1812, the Mexican War, the Civil War, the Spanish-American War, and the rise and influence of American ingenuity, technology, and society. We meet the brave and the wise; the foolish and the proud: Alexander Hamilton, Aaron Burr, Stephen Decatur, Elbridge Gerry, Francis Scott Key, Tecumseh, Andrew Jackson, Marcus Whitman, Noah and Daniel Webster, Sam Houston, Abraham Lincoln, Robert E. Lee, Booker T. Washington, and Sitting Bull, to name just a few. Like the other histories by H. A. Guerber that Nothing New Press has republished, The Story of the Great Republic includes additional maps, a comprehensive timeline of events and people encountered in the story, as an aid for testing retention, memory work, and to help children in constructing their own history timelines. The Bibliography lists the references used to construct the timeline. The Recommended Reading list which follows the timeline coordinates the corresponding chapters in Great Republic with wonderful “living books”: non-fiction, biographies, literature, and historical fiction. We have transferred all of our art and design work from out of house, to in house. The Story of the Great Republic is the last of the Guerber Histories to get a new cover. We hope you like it as much as we do. 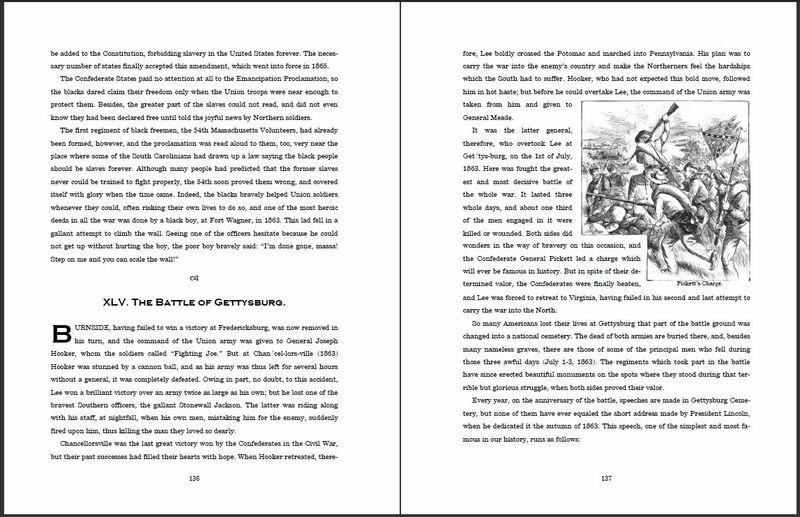 The text of the book has not changed (other than some minor graphic and layout adjustments).